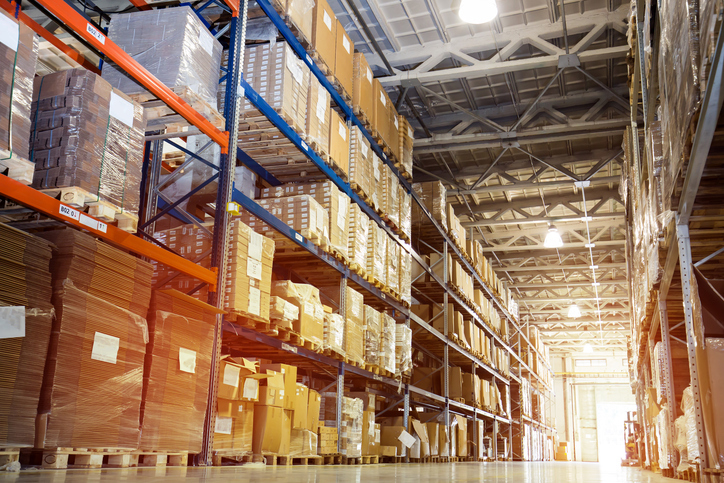 Warehouses operations are among the fastest-growing real estate opportunities in the US. In the Miami-Dade industrial market alone, more than 108 leases were signed in the first quarter of 2018. That means 108 new places of employment opened up within three months. Warehouses continue to grow and expand. 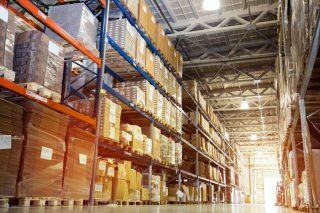 Distributors working out of these spaces need to ensure that product moves in and out of the warehouse quickly and efficiently. However, warehouses are full of heavy machinery and towering pallets of merchandise. How do distributors and other users ensure the safety of workers as the world becomes bigger, faster, and more dangerous around them? With a few warehouse management tips, the warehouse floor will go from hectic to harmonious. Following these seven tips will help your warehouse run as smoothly and efficiently as possible. Your employees and customers alike will thank you for it! Cycle counts can make an inventory review less intimidating and less error-prone. Instead of conducting an inventory of everything in the warehouse at once, break the inventory into categories. Count all of the paper in the warehouse one day and all of the pencils the next. Computerized inventory tracking systems are also a handy tool. An automated system can reduce the possibility of human error in an inventory count and eliminate tedious hours spent tracking stock by hand. For the tech-savvy, warehouse management systems coordinate inventory management with transportation, order management, and shipping tools. Many are accessible via mobile or desktop and can be customized to fit the needs of a business. Inventory informs the warehouse layout best practices: the rules of how to organize the space. Without an accurate picture of current stock, it’s difficult to tell which items are selling well and which have been sitting on a shelf for months. Rearrange the floor so that popular items are easily accessible and off-season or unpopular items don’t take up valuable space. Good organization also means ensuring that stock is properly stored and not crowding aisles or blocking walkways. It’s easy to trip over a stray box, but those accidents can be avoided with a little housekeeping. Another benefit of a good inventory tracking system is a record of product trends. When certain stock items are less popular, an accurate inventory will take notice. A manager can adjust an order so the warehouse doesn’t receive stock destined to collect dust on a shelf. Forecasting also helps companies predict upcoming trends. A warehouse won’t run out of this year’s favorite Christmas toy or the newest clothing fad if the managers know to make a bigger order. Warehouses are high-traffic buildings. A dock leveler experiences, on average, 100,000 crossings by 4.5 ton or heavier forklifts every year. Under that kind of stress, a small problem can balloon overnight. Regular maintenance is important to keep machinery in good condition for as long as possible. Schedule a technician to inspect the warehouse’s machinery as often as is needed. Keeping the warehouse clean is just as useful. Dust and debris caught in machinery can cause everything from a few sneezes to a breakdown. New warehouses often come in white box condition, with only the bare minimum in interior finish. Older warehouses often need improvements before users occupy them. A well-lit space is more pleasing to the eye, and it can also cut down on workplace accidents due to unseen hazards. Warehouses suffer from a lack of natural lighting, and a dim corner risks employees tripping or running into the racking. The racking itself is also worth a look– dents, dings, and rust can all cause problems down the road. Before the racking begins to destabilize, it should be replaced. Buildings are taller than they were 30 years ago. Many developers are building 30′ and 32′ foot clear height warehouses, allowing for taller racking and more storage potential. Cross-docking allows for a more fluid exchange between incoming and outgoing products. Workers can take deliveries off of trucks and load them immediately onto a departing vehicle. Cross-docking saves time and storage space. Hold regular training sessions for warehouse employees. Everyone should know the day-to-day procedures for warehouse operations and understand what to do in case of an emergency. 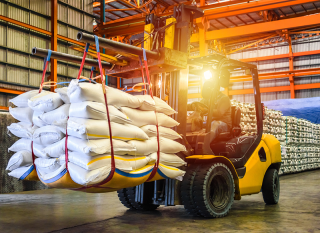 Training sessions can also provide a forum to discuss common safety hazards, like back injuries from improper lifting, and how to avoid them. After the employees have had initial training, continue to remind them of the basics. Post printed rules and procedures around the space. Schedule refresher courses so no one forgets the important parts. The people who know the most about the risks of the floor are the people on it. Encourage employees to sit on a safety committee. Ask them to report safety violations they see regularly or problems they’re having with equipment. The people who interact with the machines and stock on the floor regularly are the first to spot small problems. If employees communicate with each other and management, issues can be resolved before equipment requires major repairs or replacement. Customers want to receive their orders fast. Warehouses continue to perfect the art of warehouse operations, but a delivery partner can bring a company’s customer service to the next level. Last mile logistics providers can bring products from the warehouse to the customer’s front door. Choose a company that values efficiency and the safety of its workers. Contact us today for more information on same-day delivery of packages big and small. Imagine if Amazon’s warehouses weren’t well organized. Employees would be running all over the place, frantically searching for customer’s items and nothing would ever arrive on time. To put it simply, Amazon would not be the hugely successful business it is today if Jeff Bezos hadn’t placed a high priority on developing excellent and effective organizational strategies, especially within his warehouses. As a business owner, making warehouse organization a priority should be a no-brainer. But just in case you’re still pretending there’s an actual “method to your disorganized madness,” here are seven reasons why your business needs to organize your warehouse. For those looking to learn how to organize a warehouse, it starts by taking a thorough inventory. That way, you know exactly what you have. You now also know exactly where it’s being kept. This allows you to determine a great deal of information that will help you save a ton of time. You’ll now be able to figure out which inventory items are being sold quickly and which ones aren’t. You and your employees can develop a system for storing each item. One simple strategy is to keep all items that are sold quickly or used often in the front of the warehouse while housing those sold or used less often in the back. Organizing inventory is hugely cost-effective. One reason is that you can easily track everything. That means, it’s less likely you’ll overstock an item. Instead, you’ll know exactly which items are most popular and can plan ahead to ensure you can restock your inventory to meet the demand. You also don’t end up losing inventory. In terms of inventory storage ideas that help you save money, label everything. Don’t forget to make sure you can read your labels clearly. You’ll save money by wasting far less time searching for items in your warehouse. That means more time is spent on other money-making matters. If you’re spending a lot of time organizing inventory, you’re doing something wrong. Organizing inventory shouldn’t take long if you have an effective system in place. Your goal is to create such an effective organizational system in place that you can spend more time focusing on other, more important matters. You need to focus on marketing and sales so that your inventory can move. Otherwise, all you have is a warehouse filled with stuff that no one wants to buy. Don’t forget to place similar items together and map it out so that everyone can easily locate every item within a few seconds. You have to know how to organize inventory in order to reduce employee theft. At least $15 billion dollars are lost to theft each year. Many of these thieves are working on the inside. It’s easy for an employee to steal copper pipes or wires. Warehouse managers have even been known to start their own business reselling stolen items. You should learn how to organize inventory so that you know exactly what you have, where it’s kept, and who bought it. That eliminates the ability to steal from your business. Another plus is that you can track how well your employees are performing. This helps to increase productivity in the workplace and lead to positive competition. Warehouse organization is important to help increase productivity in your business. If your employees don’t know how to organize inventory, items get lost. It takes time to locate those items if they’re ever found at all. It’s also easier for your employees to goof off if you haven’t learned how to organize a warehouse. With a good system in place, you can use real data to see how well each individual employee is performing. This, in turn, encourages friendly competition and helps people form more cohesive teams within the company. Your employees will also appreciate seeing how well they’re performing and knowing exactly how many orders still need to be filled. Imagine a supplier coming into your warehouse to make a delivery. Inside they see chaos and disorganization. There’s a good chance they might walk away hoping you can continue honoring their contract. A disorganized business rarely stays in business long. Imagine a customer catches a glimpse into your warehouse and sees it in disarray. Again, their impression of your business isn’t going to be very high after seeing that. Even if no one except employees never sees the inside of your warehouse, organizing is still important. Organizing should be part of your brand. And your warehouse is just as much a reflection of you and your business as anything else is. How you do one part of your business says a lot. You should know how to organize a warehouse because it will help you manage a more successful business. Look for inventory storage ideas to help you increase customer satisfaction. In an age when most consumers do an internet search before they make a purchase, you want as many positive reviews and testimonials as possible. If you don’t know how to organize a warehouse, that means a dramatic decrease in customer satisfaction. Employees can’t find an item and fail to ship it out on time, disappointing a customer. A customer makes a bulk purchase only to find your inventory system failed and you’re out of that item. The wrong item is shipped to a customer. None of these scenarios have to happen. Organizing inventory is the first step towards ensuring your customers are always satisfied with your service. You do not have to face warehouse organization on your own. When you work with us, we can help you develop a system to ensure that your customers can continue to rely on your topnotch service. We can also ship your items at a moment’s notice. It’s a one-stop shop for all your warehousing and shipping needs. Click here to create your account today. 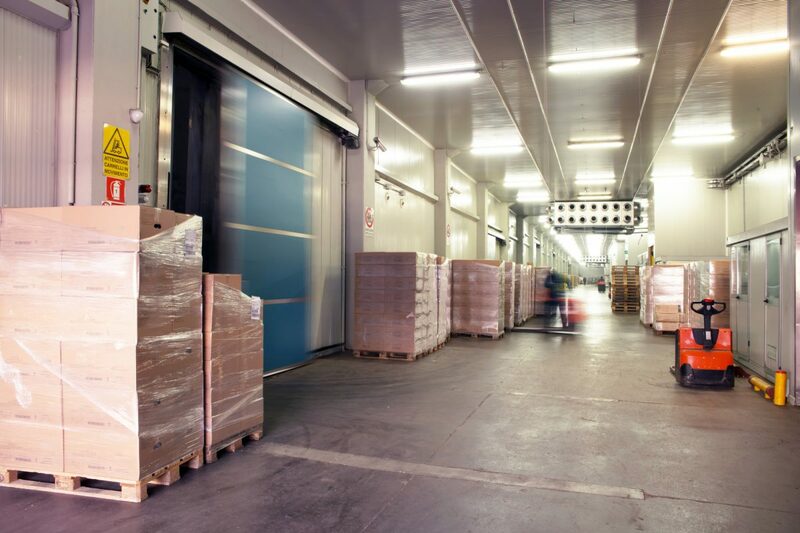 Do you feel like your refrigerated warehouse just isn’t operating as efficiently as it could be? Are you frustrated with losing tons of time every day on mundane, mindless tasks — and even more frustrated with a loss of products and profits? We know that properly managing a refrigerated warehouse can be a real challenge. That’s why we created this post, designed to help you uncover some of the most effective management tips in the industry. Make this the year that you get more done in less time, stop losing money on damaged or outdated products, and even make your employees much happier. As you’re likely already too aware of, keeping the temperature consistent in your refrigerated warehouse is a huge struggle. Not only that, but you also have to deal with regulating the temperatures required by different food items. Your tomatoes, chicken, frozen spinach, and cheese all need to be stored at different temperatures. It can become a real headache — and often, an expensive one — very quickly. Start implementing product-specific “zones” within your warehouse, with each zone having its own temperature. You can then move your products into the correct zone for their shelf life, keeping in mind that these may also change when the seasons do. If you’re concerned that zones alone aren’t enough, we also suggest hanging a curtain that’s designed to regulate and keep in specific temperatures. Another incredibly important part of properly managing your refrigerated warehouse? By implementing a thorough labeling and barcoding system. This will make checking up on your inventory incredibly easier, and will also ensure that you’re not over or under-buying certain items. Plus, a good barcode and labeling system will also cut down on the possibility for human error within your warehouse. 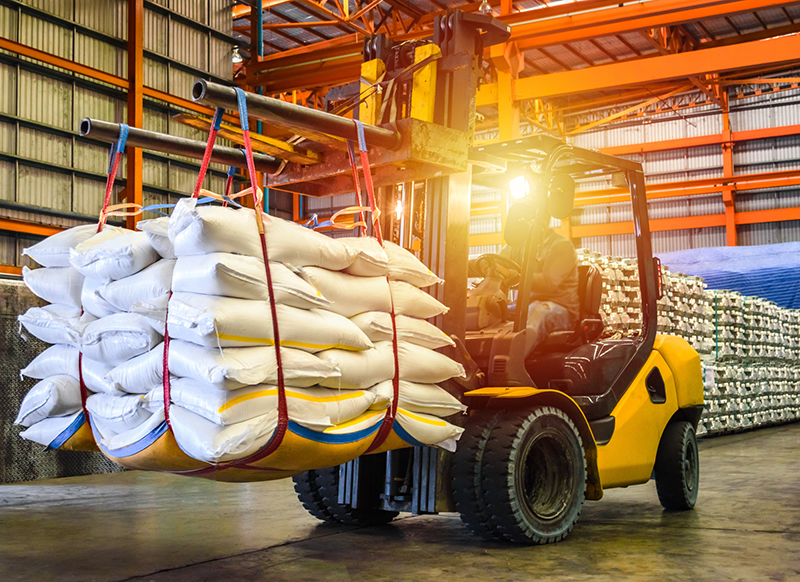 Have you noticed that your lift trucks just don’t seem to be running for as long as they’re meant to when inside your refrigerated warehouse? Do you feel like you’re constantly having to purchase more batteries just to keep them going? If so, you’re not alone. This is a common problem with, fortunately, a very practical solution that will help to increase your operating efficiency and save you serious cash. Keep in mind that the overall life cycle of a large battery will be shortened by the freezing cold temperatures in your warehouse. This means that you’ll lose valuable hours off of your battery life. However, all you need to do is pick up a battery with a higher voltage option. The voltage can help you to easily withstand the cold. As the manager of a refrigerated warehouse, you know all too well just how easy it is to lose tons of time dealing with minute, mindless tasks. Often, these tasks end up slowing down your entire production schedule — not to mention, seriously stressing you out. Tons of industries and businesses across the globe have embraced automation to make their lives easier and to free up more of their time. Why shouldn’t your warehouse do the same? Some of the most effective forms of automating within the cold warehouse industry include automated palletizing and automated storage. If you’re tired of spending hours trying to figure out exactly how you should pallet your products, then we know you’ll love the idea of having robots do it for you. Even better? These robots no longer have to open and close your freezer every time they create a new pallet. Thanks to new technological advancements, in-freezer palletizing is all the rage. Automated storage will also help you to keep warm air out of your warehouse as much as possible. Plus, it will also allow you to fit more items into your warehouse. Of course, we know that you’re always thinking about how to keep your products safe and regulated in your warehouse. However, are you extending that same level of concern towards your employees? It isn’t just about being a caring boss — when people are too cold to work, their productivity goes way down. This can lead to delayed shipments, damaged products, and a serious loss in revenue. To prevent this, be sure that you’ve given your employees proper protective equipment, and look for ways to shorten the time they need to spend in the warehouse. Even if you’ve done everything right when it comes to managing your warehouse, unexpected delays and accidents do happen. The trick to maintaining your efficiency in the event of a crisis it to have a plan in place well before anything actually goes wrong. Consider possible routes you could use to re-route your shipments if need be. Of course, above all, always be sure to properly and consistently train your employees about what to do in the event of an emergency, and make sure everyone is aware of basic safety standards. Thanks to this post, you now have some awesome tips about how to more effectively manage your refrigerated warehouse. Above all, remember to focus on proper temperature control, automate what you are able to, and to always have a plan in place for what you’ll do if the worst happens. However, we know that, with everything else you have to do in a day, sometimes, the nuts and bolts of properly managing your warehouse can slip through the cracks. In addition to our expert warehousing services, we also offer assistance with delivery and couriers. When you’re ready to increase your operating efficiency and your employee morale, get in touch with us for a free quote. Together, let’s get started on making a change for the better.